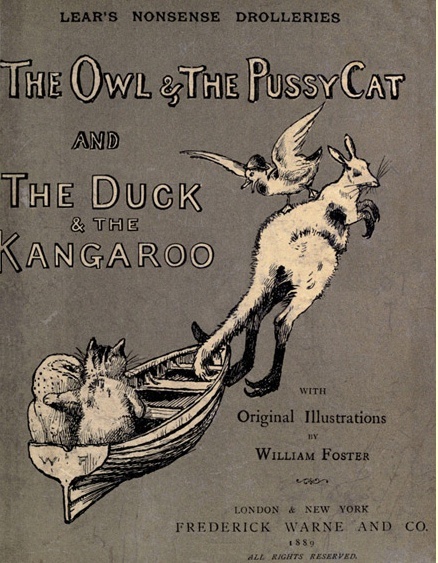 From Project Gutenberg – two of Edward Lear’s works rolled together in an 1889 Frederick Warne edition. The Goulburn Evening Penny Post of 26 September 1922 reported a talk by poet Mary Gilmore at Goulburn High School. 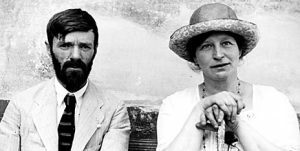 It was only a few weeks after the death of her friend Henry Lawson. Last week, in an informal talk at the Goulburn High School, Mrs Mary Gilmore gave in outline an account of the late Henry Lawson, his work, his temperament, and some of his personal history, as well as an appreciation of his value as the outstanding figure in the history of Australian literature. Opening her remarks, Mrs. Gilmore said that, to begin with, she had known Henry Lawson ever since he was about twenty-one, that her mother and Henry’s mother, Louisa Lawson, had been friends, and that acquaintance ran through three generations of Lawson’s family. “It is not necessary,” said the speaker, “to refer to Lawson’s birthplace or to read or discuss his writings in the present talk, as all these things are given in the course of High School teaching. But something of the man, of his life as known to his friends, and of the causes which made him what he was are more necessary, and what I propose to give, for , indeed, much of this is still only passed mouth to mouth and will be lost if not collected or given now. When I first met Lawson he was a tall, thin, shy, sensitive lad, not yet done growing. In a photograph which I have of him this is shown very emphatically for the pictured Lawson has a definitely weak chin. Those who know the mature Lawson will remember that he had a big, deep, strong chin. He was like his mother in appearance; he was like her in temperament. Apart from his own mother, my mother and I were among the first to realise Lawson’s genius and his originality. 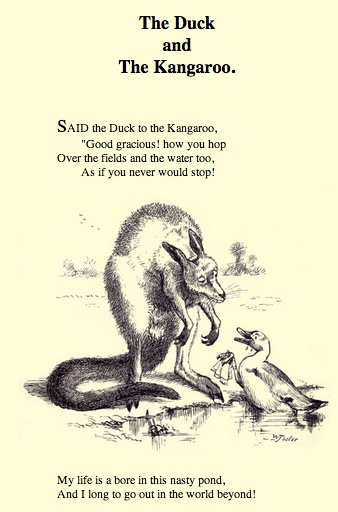 He was without doubt the most original writer Australia has ever produced. His style was his own, his method was his own. From his mother he inherited much. He had her sense of drama, of humour, of the value of local colour, and the essential point of any story. But his power of expression went beyond hers; and his capacity for a suggested under-current of feeling went beyond hers afar as genius goes beyond intellectual talent. When I first knew Louisa Lawson, social conditions were not what they are now, and it is difficult to realise what she, in her fight for women, was up against. But as an instance I might mention that at that time any woman seen in, or seen going into, a restaurant in Sydney could be arrested by the police. And just as his mother had much to do with the early shaping of conditions in Australia socially, so had her son, and I shall never forget when, nearly thirty-five years ago, in a strike of that day the young Lawson ran all the way from a mass meeting at the old Exhibition building to where I lived and burst in with the cry -‘They are going to fire on my countrymen.’ It was have served out ball cartridges and are going to fire on my countrymen. It was then that Colonel Price had given his infamous order: “Fire low and lay ’em out !’ When I had quietened Lawson down I sent him to his mother and asked for a message to be sent to Sir Henry Parkes. And I like to think that it was partly due to Henry Lawson that the infamy of that day was not carried out. His influence in the early days of the rise of our social democracy has seldom been told. But it is a fact that his ‘Faces in the Street’ and his ‘Army of the Rear’ ran like a flame throughout the young State. He wrote in the early ‘Worker’ (my paper), and throughout his work runs the note of the seer and the prophet of national democracy. His temperament was subject to moods, like his mother’s, and among his best friends was the late Minister for Education, Mr. T. D. Mutch. Our office was for twenty years a sort of home to Lawson, and till latterly there was always someone there who looked after him, and to whom he looked in time of trouble. Mr. Mutch, when Henry would have a depressed mood on him, would give up all his Saturday afternoon to the poet, returning for him on Sundays, and together they would tramp the bush of Gordon, Middle Harbour etc., silent for hours and hours at a stretch. But in those seemingly sombre hours germinated and grew much which later blossomed in the best of Lawson’s later work. When Mr. Mutch left our office to go into Parliament, his trust as regards Henry fell on Mr J Noonan, our accountant. But others were faithful friends to to poet and none more so than Mr George Robertson (Angus and Robertson’s), Mr Phil Harris (“Aussie” Magazine), and Mr . J. G. Lockley (of the Lockley Library).” Mrs Gilmore speaking of Lawson in London as well as in Australia gave tribute to his work, quoting in reference to the former place Mr. Pinker (the well-known English publishing agent), the editor of “Blackwood’s Magazine” and Mr. Garnet, the critic (afterwards Sir Richard Garnet) all of whom had stressed to her the unique value of Lawson’s work. Mrs Gilmore spoke for nearly an hour and then ended by reading a letter which Lawson’s sister, Mrs Gertrude Lawson O’Connor, had published to the children of Australia (in “The Women’s Budget”) in memory of her gifted brother. 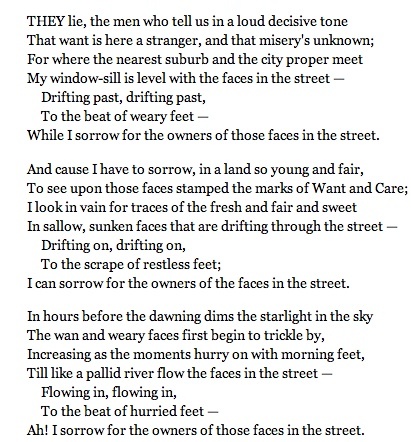 Lawson’s handwritten story of his famous poem “Faces in the Street” is here courtesy of the State Library of New South Wales. It reveals how, at the age of 21, he “struck the keynote or the key line” for the poem on Petersham Station in Sydney on a cold wet night. The thirteen stanza poem begins thus. You can read it in full here at The Australian Poetry Library (HT to the following institutions that support this important cultural resource). The digitising of collections in our national and state libraries and museums is making much more than just photographs and objects more accessible. The content of reels of tape, recorded decades ago, is also finding its way online. The work of Hazel de Berg forms the basis of the oral history collection in the National Library of Australia. 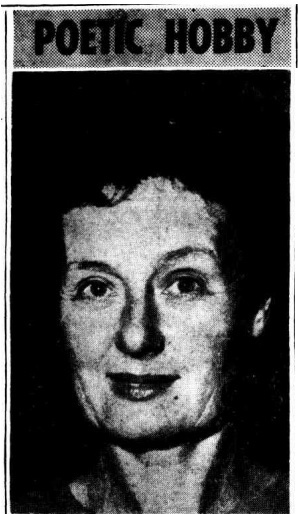 Around 4 years after Mrs de Berg began using a tape recorder in her work with people with visual disablities, this article in the Canberra Times noted her prolific rate of recording the voices and work of Australian poets and the modest grant she received to continue collecting their readings and stories. A woman with an unusual hobby visited Canberra yesterday. She is Mrs. Hazel de Berg ….. a tape-recorder enthusiast from Sydney. Mrs de Berg’s interest in tape-recording originated from her idea to present taped recitals at Blind Institutes in Sydney. She was granted £100 from the Commonwealth Literary Fund after she presented some of her recordings at the Adelaide Festival last year. Since then she has travelled Australia collecting recordings of Australian poets for the National Archives. She has recorded all living recognised Australian poets – 68 altogether – reading their own voice. Dame Mary [Gilmore], Kenneth Slessor, [Dorothea] McKellar, Douglas Steward and Lady Hope are a few of the many she has recorded. Last night Mrs. de Berg played some of her collection to the Canberra Fellowship of Australian writers and told them some of her experiences making the recordings. She does not interview people but records them talking about their work, interests and themselves. The tape recordings are converted later into records and sent to the National Library archives. Mrs de Berg will leave for Melbourne today to begin a series of recordings of Australian artists. This afternoon she will speak to some in the Melbourne Art Gallery. She hopes to follow that series by one on Australian authors and dramatists and another on Australian composers and musicians. By the 1970s she was recognised as the pioneer of oral history in Australia, yet it was not a term that she favoured. She regarded herself not as an interviewer, but as a recorder of the voices, recollections and ideas of Australians of diverse ages, backgrounds and talents. She brought to this work great energy, enthusiasm, charm and perseverance, often managing to record individuals who were notoriously reticent or reclusive. Her practice of excluding her own voice from the tapes has been criticised, while the brevity of the earlier recordings limits their value. Taken as a whole, however, the de Berg tapes provide a unique record of the voices and memories of hundreds of Australians born between 1865 and 1956. I’ve been listening to a few of the recordings. They were not sophisticated by any means and this adds to their charm. In the sessions with May Gibbs (then over 90 years old) you can hear traffic noise and bird sounds from her garden. The recordings of people who knew Henry Lawson give some of the back story away. Dame Mary Gilmore (in her late nineties at the time of recording) is adamant that Henry used some of her own family’s stories to create his – The Drover’s Wife being a case in point. Casually she drops in the odd gem – “He wanted to marry me of course”. In 1960, Doris Fitton, actress and founder of the Independent Theatre, recorded her memories in a strong voice that was in no need of amplification from the stage. 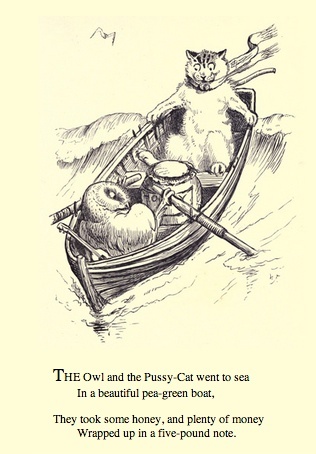 May Gibbs (illustrator and creator of Snugglepot and Cuddlepie) had several starts for her sessions recorded in 1968, apologising for her hoarse voice brought on by fatigue. “I could draw almost as soon as I could talk”. There’s John O’Grady – author of “They’re a Weird Mob” using his pen name of Nino Culotta. Norman Lindsay, George Johnston, photographer David Moore and many many more. Hazel de Berg interviewed many people shortly before their lives ended. What might we have missed if she had not had such an enthusiasm for carting around a tape recorder and collecting their wisdom. I was thrilled to receive this comment from Hazel de Berg’s daughter, Diana Ritch. It gives some insight into the characteristics that Hazel applied to her work, none the least of which was the determination to achieve quality sound reproduction and to not accept no for an answer. 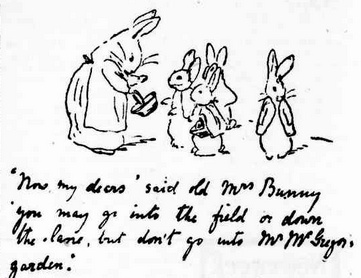 Thanks also to Diana for sharing more about the story of May Gibbs’ interview. Diana Ritch has also contributed interviews to the National Library’s collection. You’ll find them here. Hazel de Berg was my mother and I was delighted to read your article. We, her family, are very proud of her, and my brother, sister and I grew up with her recordings as an important part of our lives. They are frequently used for radio and television programmes, and as research material for books and articles. It’s great that they are being made more accessible on line and will be enjoyed by many more people. Mum didn’t put her voice on the recordings as she wanted the listener to feel that the person was speaking directly to them and they were not listening to an interview between two people. She went to a lot of trouble to get good quality sound on her recordings, using the best available equipment, and once even getting a group of road workers to stop drilling while she was doing a recording. You mentioned the recording of May Gibbs. Doesn’t she have a strong voice! Not knowing Mum, she didn’t want to be interviewed, so Mum rang her every day for a month and eventually was asked “Hazel, why don’t you come over and bring your tape recorder?” When she arrived May Gibbs was in the garden and she wanted Mum to sit on a cushion on the steps and record her there, which she did. Hence the bird sounds. I’m glad you enjoyed her work and appreciated the quality of material in the collection. Theatrical all-rounder Bert Bailey was born in New Zealand and came to Australia with his mother as a small child. He is most well known for his portrayal of “Dad” on stage and screen in Steele Rudd‘s On Our Selection. AUSTRALIANS at the moment are very “Dad and Dave”- minded, and it is undoubtedly this fact that has led Associated B.E.F. to the decision to reissue “On Our Selection,” Australia’s first talkie produced by Cinesound some five years ago, with Bert Bailey heading the original stage cast. “On Our Selection” will probably be released at all metropolitan theatres and there is little doubt that it will be well received. Twenty-five years ago, in May 1912, “On Our Selection” was first presented as a stage play at the Palace, Sydney, and today, more than a quarter of a century later, the story of “Dad,” “Dave,” and all the rest of the famous Rudd family is still popular. 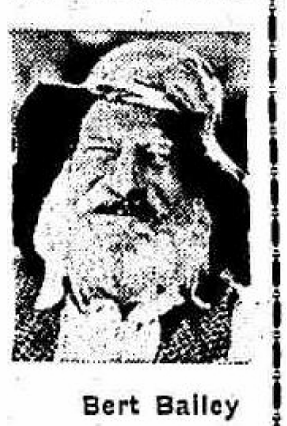 When he died this item appeared in The Advertiser – 1 April 1953. His papers are available as a research resource at the National Library of Australia. Note: Leo McKern and Geoffrey Rush played Dad and Dave in the 1995 version of On Our Selection..
Dad and Dave Come to Town poster image courtesy of moviem.com.